Chanel’s Pink Tulip | indystyle.tv. Chanel Bostic, owner Chanel’s Pink Tulip, boutique on Mass Ave that specializes in Locally Hand-Crafted items. Chanel’s Pink Tulip has everything from swimming suits, a shadow box, a mirror, a couple prints, some candles, a lamp, some pillows, a wreath or two, a couple T-shirts, some baby stuff, body products, some jewelry, a couple handbags, a couple scarves, and some hair accessories. (Smiles) You get the idea. 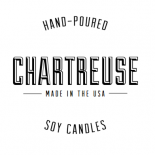 This entry was posted on July 3, 2013 by chartreusecandles.